There are times when you want to create a way to organize your content in a way that is easy to parse; but without the need for fee calculations, bells, or whistles. 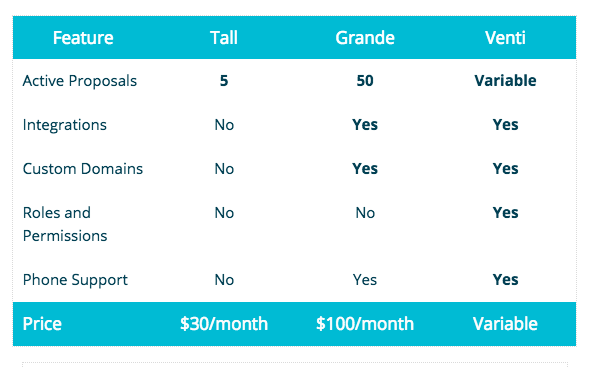 You may be making a chart to outline the different features or services for each of your plans, a table to outline the benefits your company has over your competition, or just want to place copy in two columns to save on space. 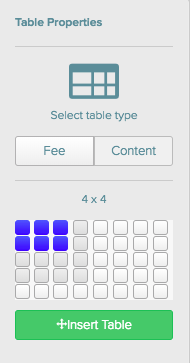 The Content Table is a great tool to do just that! 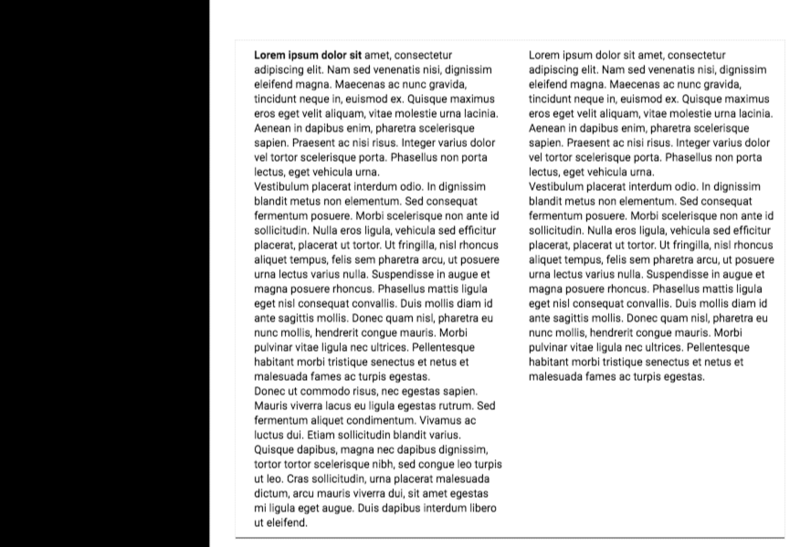 If you were inside of a text box, then that table will automatically stretch to the margins of that text box. 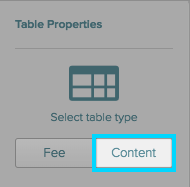 If you were not inside of a text box, the table will appear at the top of the page you are currently on, allowing you to move and resize the table to what you need. 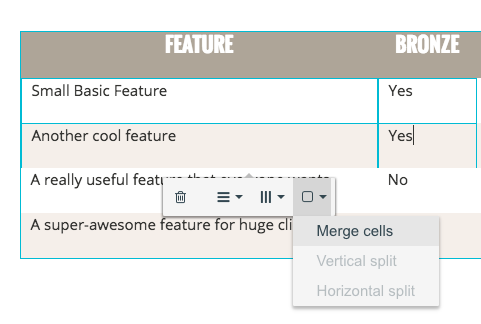 This will merge all selected cells into one large cell. 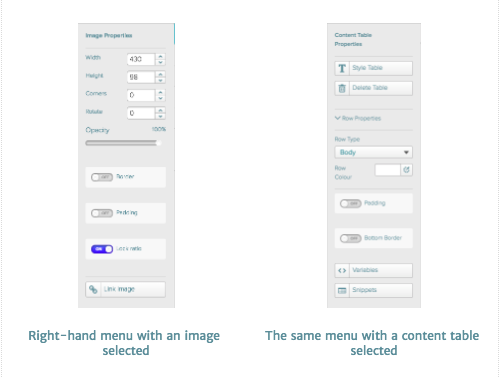 Once clicked, you can change the settings for headers, body and footers and these changes will only be reflected on this table. 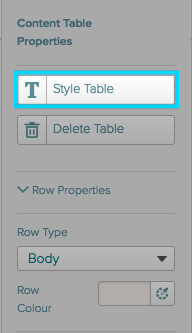 If you'd like the change all of your tables, you can click the "Apply to All" toggle just above the green "Save Table Styles" button.